CISCO Version 11 – New “Conference Now” feature! Is your ShoreTel or CISCO Audio Conference Secure? Most all phone systems have some embedded resource for ad-hock audio conferences, ShoreTel and CISCO are no different. CISCO, like ShoreTel, had “meet me” conference facilities, but it had one serious flaw. Anyone could dial into the conference bridge, even after the conference had started and there was no security against “lurkers”. This made the conference facility the last place you would hold a team meeting or corporate strategy discussion! Optionally both vendors addressed this with add-on conference applications usually requiring a separate server and additional licensing based on number of ports or supported users. CISCO offered the now defunct Meeting Place server and ShoreTel still offers its own Conference server application. How frustrating is that! Deploy a brand new phone system only to find out it has limited conferencing functionality without an additional investment. CISCO for one, has now addressed this in the most recent release of CISCO Unified Call Manager, Version 11. A new feature, “Conference Now” has been added to the still available meet me conference facilities. Setup is relatively simple and now provides password protection for conference ports. Call into the Conference Now IVR application and you will be prompted for a meeting ID and a password. The password is provided by the “host” who must be a participate before the conference can begin. Advanced features like calendaring still require an external conference facility, but if you are looking for audio conference security, this is an ideal solution and is bundled as a basic feature of CUCM Version 11! 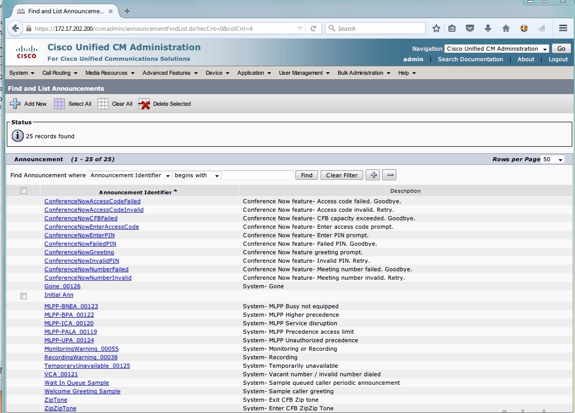 Conference Now Configuration is simple and a new line entry in CUCM Call routing administrator web page. Just give the application a Directory Number, Route Partition, a Description and set the maximum time the bridge should wait for the “host” to join before dumping everyone! You can also select a Music source that provides the media conference attendees will hear until the host joins! Then Set Media Resources, Confirm that IVR is registered with phone system and that it is be part of Media Resource Group. Users must have the “Conference Now” privileged enabled before they can establish conference sessions. Under User Management you enable the users privilege to use this as a host and set their PIN. A good practice is to set that users extension number as the Meeting Number. Granted, not the most secure solution as you basically establish the same attendee access code for all that users conference sessions, but it is way more usable than the previous meet me conference solution. Select or Create Custom Prompts! 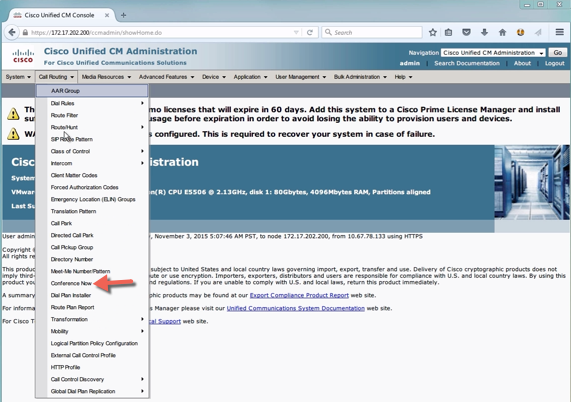 There is a library of CISCO provided prompts to support this IVR application, but you can create custom prompts and select them as appropriated! As embedded Conference facilities go, this is about the best we have seen. It is a standard Call Manager feature and can be enabled by individual User and provides password protection for Conferences in session!